Indian Cricket control Board has announced the much awaited schedule for upcoming England Vs India cricket schedule to be held in November 2016 - January 2017. 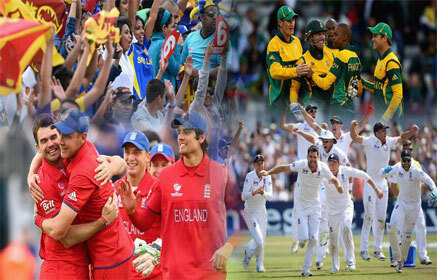 We bring the complete schedule for the England cricket supporters. We have designed interesting tour itineraries covering different matches and combination of matches to cater to your travel taste. Please go through the itineraries and register/advice your requirement, so that we can offer you the best deals on cricket tour.